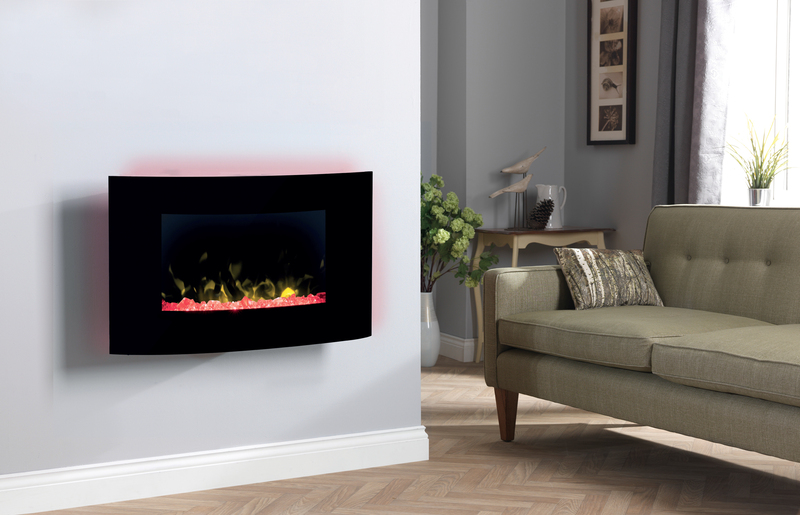 Dimplex’s latest contemporary Optiflame wall-mounted fires bring added audio and visual flair to a room with colour changing displays and the sounds of a crackling fire. Toluca, Toluca Deluxe and the Artesia fires combine the world’s most popular electric flame effect with a fresh design spin that can grace the walls of the coolest of pads. 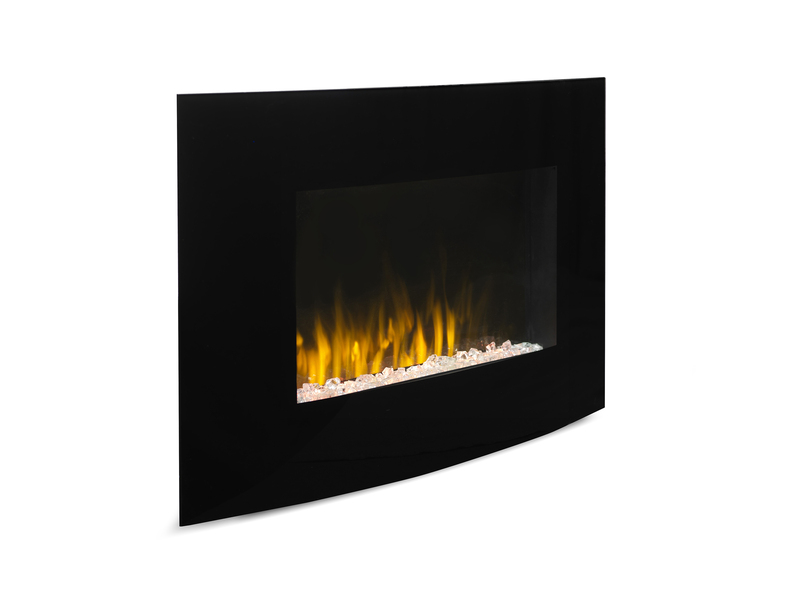 These 2kW electric wall fires are easy to install and can be positioned anywhere in the living room – or indeed throughout the home - making it a perfect choice for modern properties. 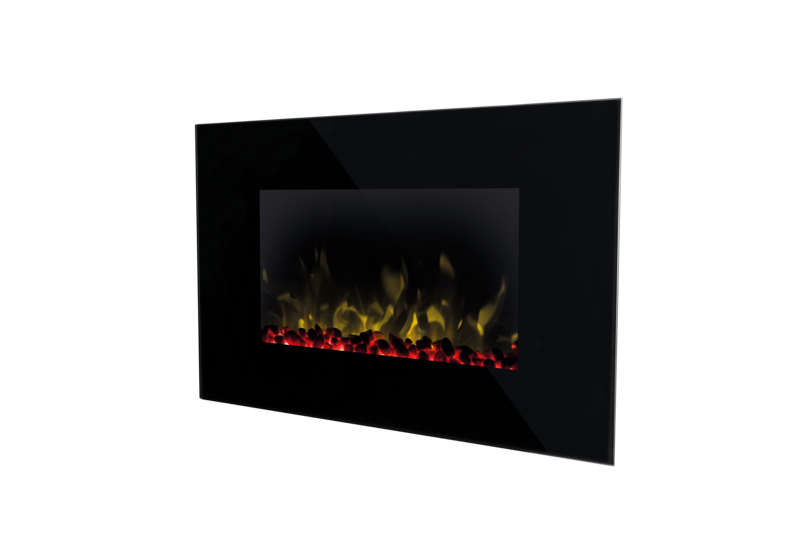 The Toluca Deluxe offers homeowners a sleekly styled, flat glass-fronted, wall-mounted fire with modernist colour-changing fuel bed with a choice of pebbles or clear stones. 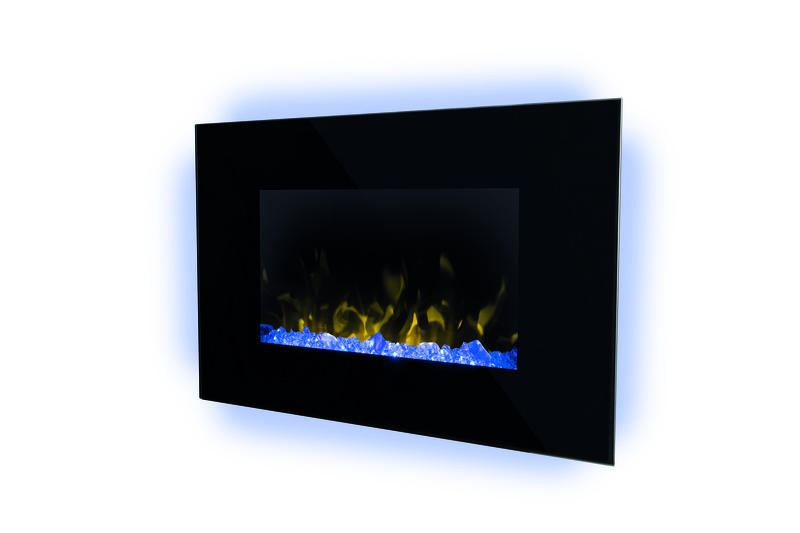 LED backlights also splash colour across the wall surrounding the fire. Selecting colour and light intensity lets you set the mood of the room with a click of the remote control. The built-in Bluetooth speaker emits the sound of a crackling fire which works harmoniously with the Optiflame effect to make the illusion complete. Or use the speaker to subtly play out background music into your room from Bluetooth connected devices such as smartphones or tablet devices. For those less interested in audio and lighting enhancement, Toluca offers all the clear stone fuel bed look and features of the Toluca Deluxe, but without the backlit effect or Bluetooth speaker. To really make a statement, Artesia, takes all the features of Toluca Deluxe and wraps them in a sensuously curved, modernist black glass finish. As with all electric fires, all three are fuss-free, 100% efficient at point of use and provide easy operation, with a choice of heat settings, variable electronic thermostat to maintain room temperature and remote control. If it is all about effect then the flame effect, lighting and audio can all be used independently of the heat. Jonathan Smith, product marketing manager for Dimplex says, “With Toluca, Toluca Deluxe and Artesia, we now have a range of wall-mounted fires equally suited to homes where space may be at a premium, to modern high-rise apartments where style is all. These fires are perfect for those who want the visual appeal, sound and ambience of fire, but prefer the hassle-free flexibility and fun of an electric model." Artesia is available exclusively from independent retailers January 2018. Available from select retailers from January 2018.